It is creative and truly progressive. In places it is fantastic. Maybe this is the future for death metal? Maybe it is just one possible future? It is certainly not what I was expecting and the band should be commended for that. 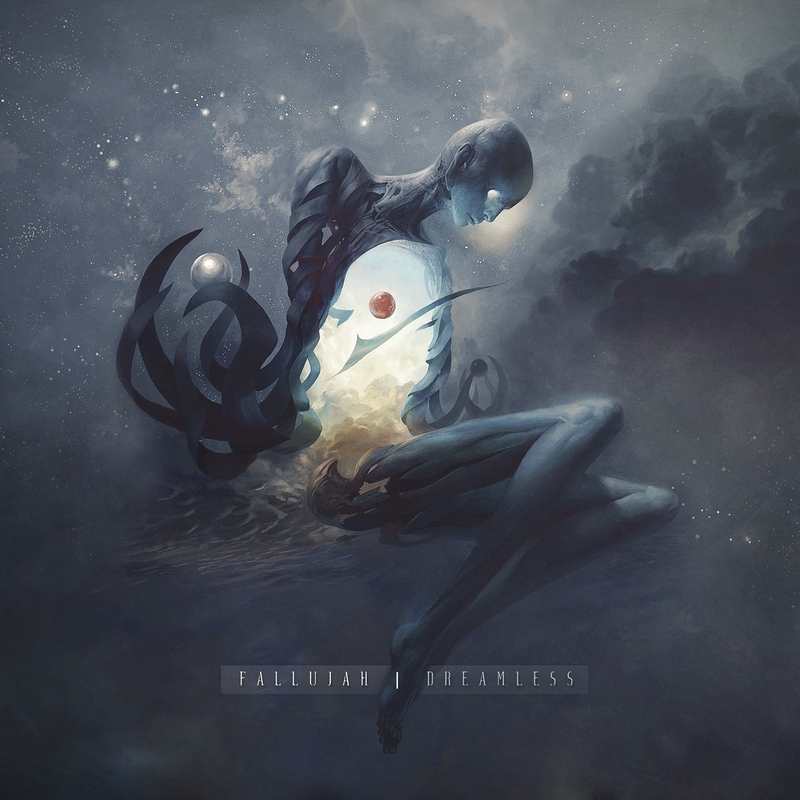 Complex and musical to the last, Fallujah are a great band. Try this record out and you will hear for yourself what they can do. Fallujah are a rather unusual band. This is their third album, but I am new to their sound. They are progressive death metal. No, not tech-death- this actually has the traits of the prog-genre and the brutality of American death metal. As tempting as it is to assume that they might sound like Opeth... they don't. Their sound is thus one of blasting brutality, keyboard/electronic driven atmospherics and melodic guitar interplay. Don't be expecting anything like Atheist or Cynic either- this is very brutal in places, albeit augmented with some clean female vocals (“The Void Alone”, “Abandon” etc.) and various dreamy sounds as the album runs its course. The second track “Adrenaline” really sets out the band's stall, but there is real variety from that steely template. “Abandon”, for instance, is very proggy after the weighty opening and the band creates a kind of dreamlike atmosphere which is very uncommon in death metal. “Scar Queen” has some VERY fast twin kick work (kudos) while the title track crafts a downbeat atmosphere with synths, clean guitars and so on. Again, the album is unusual in the world of death metal- to the point that some may not consider it to really be death metal... For some, that could be a problem. There is a LOT of keyboard work, slower parts and so on. Cannibal Corpse this is not. The mathematical patterns and polyrhythms of “The Prodigal Son” mark it out as prog territory, but brutality lurks around the corner. The album has an interlude in the shape of “Fidelio”, which tees up the final three tracks with... a female voiceover, electronic beats (?!) and more keys. At twelve tracks, it is arguable that the record is a touch too long- not that the quality drops, it's just that there is a lot to take in. Not only is the record atypical of what is within the death metal genre normally, it has a lot more light and shade than might be predicted. “Wind For Wings”, for example, builds up slowly and effectively to further melodic guitar and pulverising bass drums. There are a lot of electronic sounds here, sampled voices, keyboards and different vocal approaches (it is a standard death growl for the bulk of the album, though). “Les Silences” may be a bridge too far for most fans of dm; it was for me. The closing “Lacuna” is reliably metallic, mind, and the album has a great deal to recommend. It is creative and truly progressive. In places it is fantastic. Maybe this is the future for death metal? Maybe it is just one possible future? It is certainly not what I was expecting and the band should be commended for that. Complex and musical to the last, Fallujah are a great band. Try this record out and you will hear for yourself what they can do.